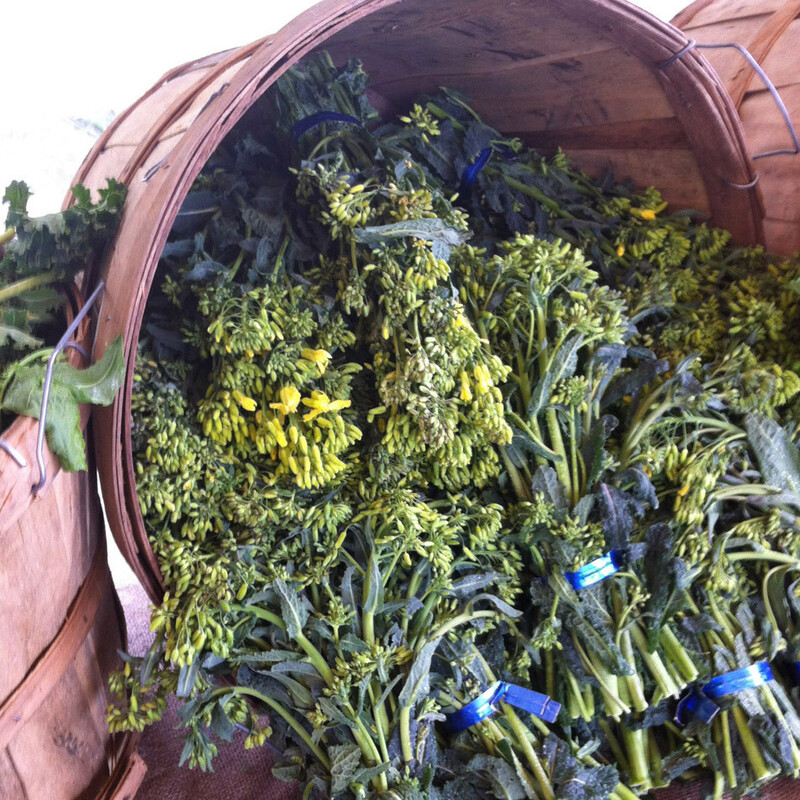 Kale raab may look like spindly, wilted kale, but it's actually the tender flowering tops of overwintered kale. Don't let the name intimidate you: "raabs" – be they kale raab, broccoli raab, or any other kind of raab – are just flowers with a funny name. Raabs are the tender flowering tops of the bolted Brassica genus, i.e., the cabbage family. But more important, these are flowers you can, and should, eat. You'll be glad you did. When the brassica vegetables bolt after the long winter, the flowers they produce are tender and delicious. When you think of how that hardy kale plant has been producing its super nutritious (and super popular) leaves all soggy winter long, it's especially remarkable (maybe even miraculous) that the tiny little yellow blossoms that show up in early spring are so sweet. Raab is a tangible, edible sign that not only has the kale (or broccoli or what have you) "overwintered" and survived into spring, but so have we. Of course, when these plants bolt, they're at the end of their life cycle, sending out their seeds to produce the next generation. By contrast, we humble humans hope spring brings more life. Savoring a new vegetable can be a part of that spring ritual of rebirth, if only with a meal to mark the passage of time and wonder of nature. Serve up the raab! 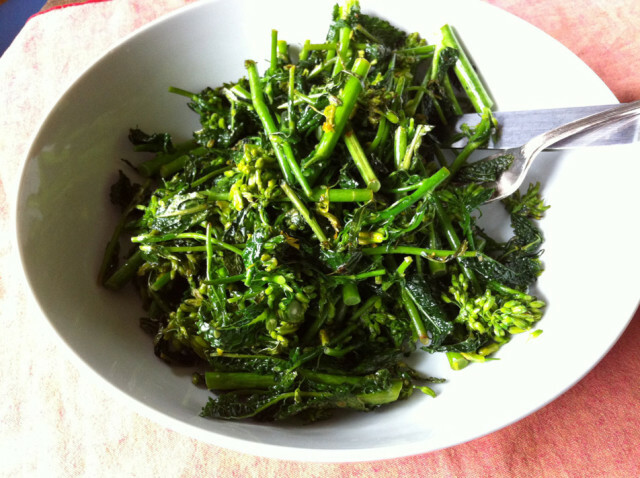 Kale raab is fantastic as a simple stir-fry, but you could also add it to soups or toss with pasta. Its's a short-lived spring treat. Simplest is probably also best: saute it in some olive oil, salt and pepper to taste, and enjoy. The thicker, lower parts of the stems may be a bit tougher than the rest; you might chop them into one-inch lengths and blanch (boil for a minute or two) first, to cook them slightly and soften them up before adding them to the blossoms and thinner stems in the saute pan.